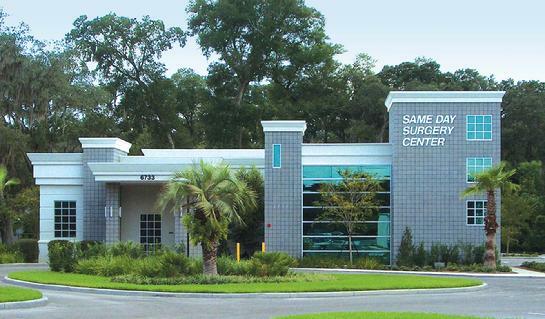 Welcome to Same Day Surgery Center in Zephyrhills, Florida. The Center is a licensed Ambulatory Surgery Center by the State of Florida. It is accredited by AAAHC. We are a Medicare participating facility and in-network for most insurances such as Aenta, United Healthcare,Tricare, Blue Cross/BlueShield and many more. We are also a contracted facility for the Veterans Administration. The facility provides state of the art cataract, eye lid, glaucoma, cornea, and Yag laser eye surgery. We also provide laser vision correction as an alternative to wearing glasses. Want the best quality eye surgery? Want to save money and time with your cataract or eye surgery? Call us and experience the convenience of a local facility, without the hassels and expense of hospitalization. Save $100's to $1000 compared to competitors and hospitals. Save $100's on eye drops with our new "Dropless" and single drop regimens. Ask us about our new IV Free Anesthesia. For most cataract surgery patients, no IV is required for comfortable surgery.